Want to get Nosy with your iPhone? 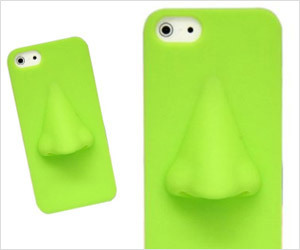 Here is iPhone 5 case cover with real looking Silicone Nose. It is weird yet funny with its colorful nosy appearance.